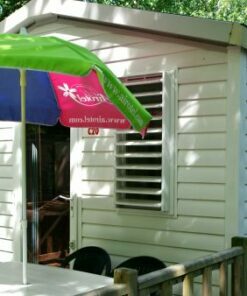 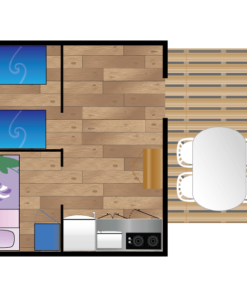 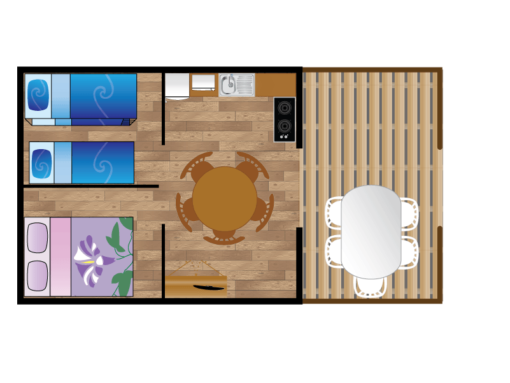 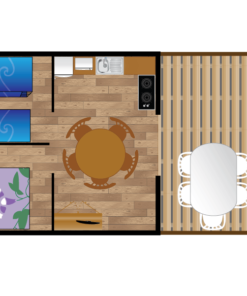 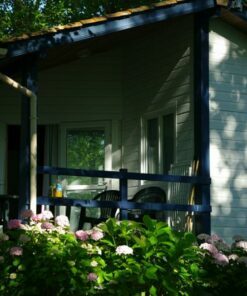 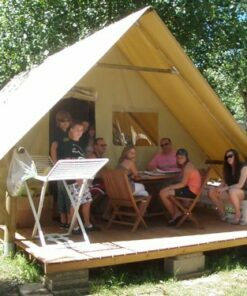 Rental of the Ispeguy Lodge tent 2 bedrooms without bathroom facilities. 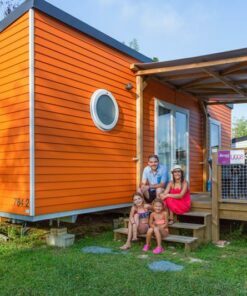 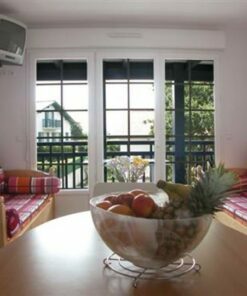 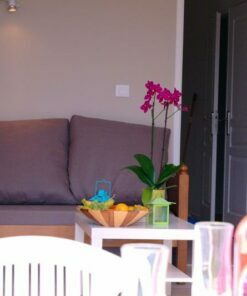 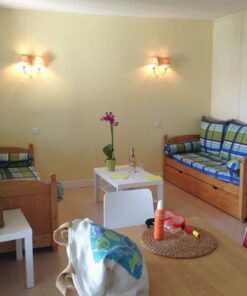 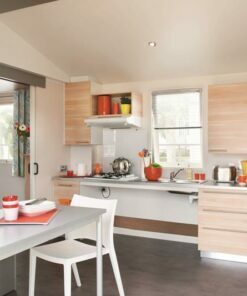 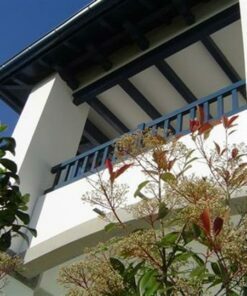 Choose the originality for your holidays in Bidart. 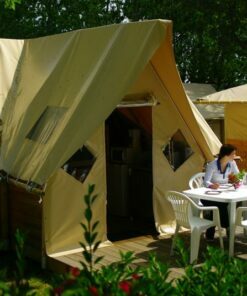 A change of scenery is guaranteed for an original camping getaway in the Basque Country with this Ispeguy Lodge tent. 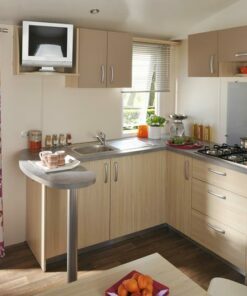 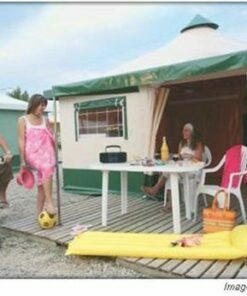 Note that this Lodge is not equipped with toilets but offers a cold water point in the kitchen. 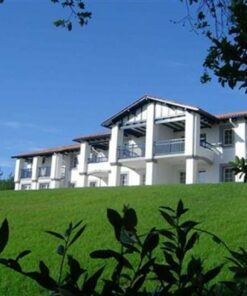 It is important to know that the Ispeguy Lodge is equipped with a television to enjoy a good time with your family. 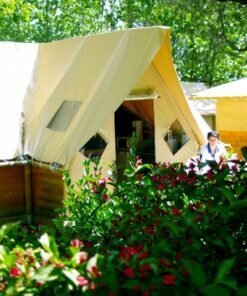 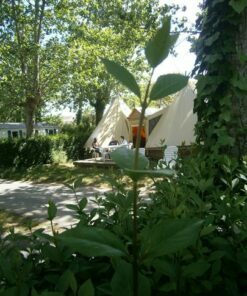 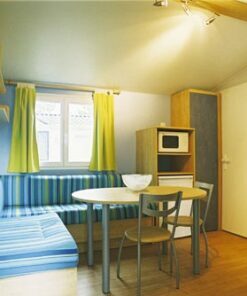 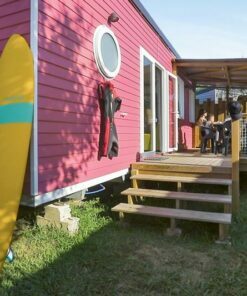 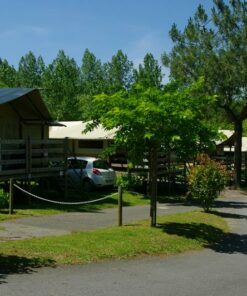 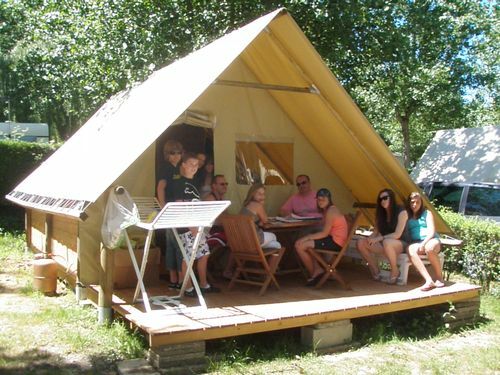 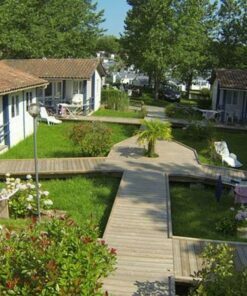 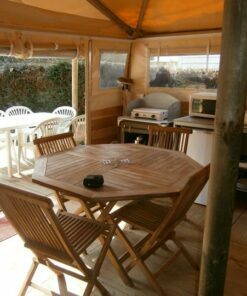 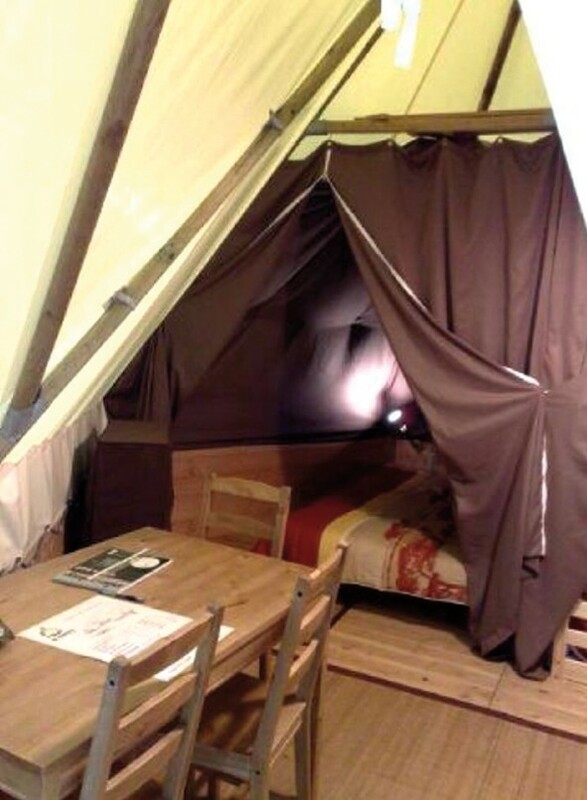 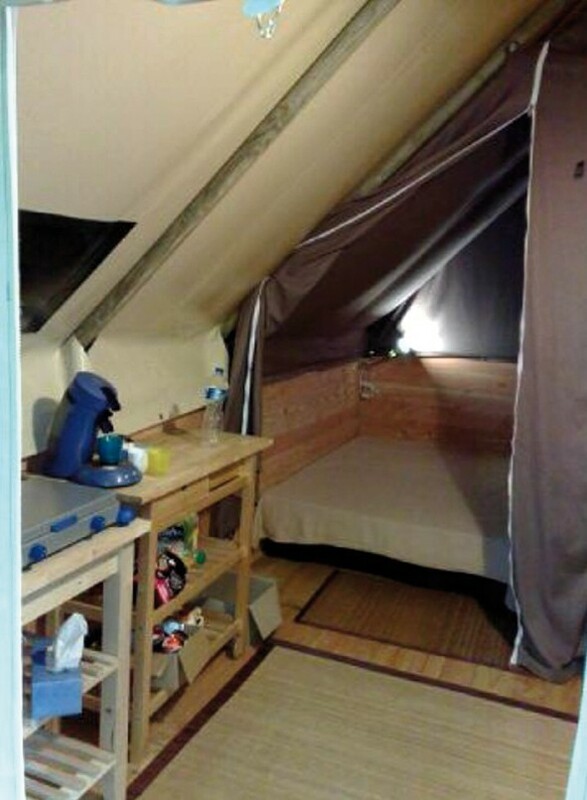 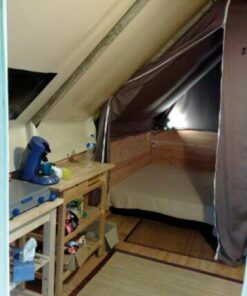 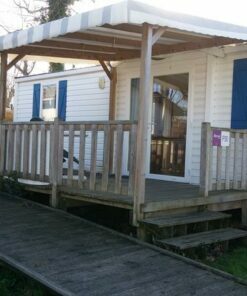 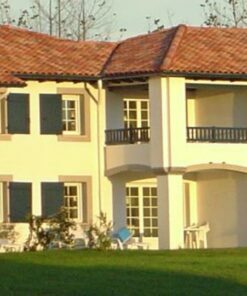 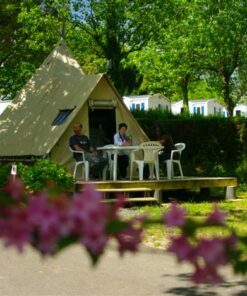 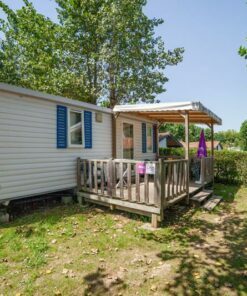 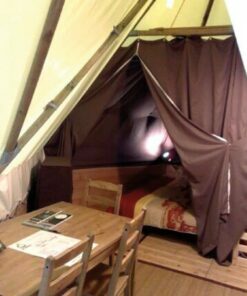 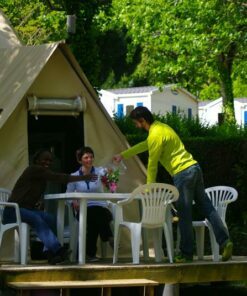 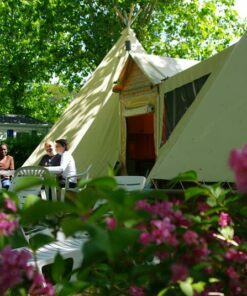 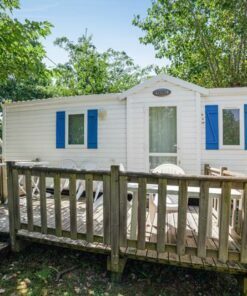 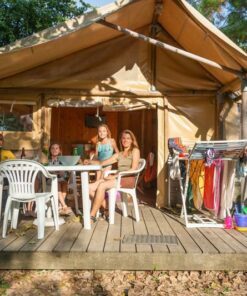 Finally, the Ispeguy Lodge tent can accommodate up to 5 people in Bidart, just outside Biarritz.